Integrative Health Partners is located at 30 N Michigan Ave, at the corner of Michigan Ave and Washington St. (across the street from Millennium Park and the Bean). When you enter the building, security will ask you to show a photo ID. Please take the elevator to the 10th floor and follow the corridor to the right, to Suite 1008. In the waiting room you will find a button located next to your therapist's last name. This will alert your therapist that you have arrived. If you are using insurance, please bring your insurance card and copay (if applicable). Payment is due at the time of service and we accept cash or check. Please also bring your completed Information Form to the initial visit. 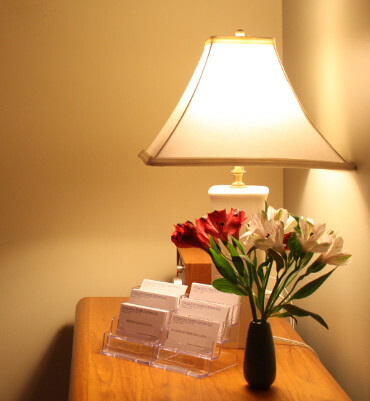 Taking care of a little paperwork ahead of time will help us devote your first visit to a discussion of your therapy needs. Our information form and other documents are here. Please print and complete this form, and bring it to your first appointment. Please review this information. Your therapist can address any questions in your appointment. Please review and sign this form, and bring it to your first appointment.